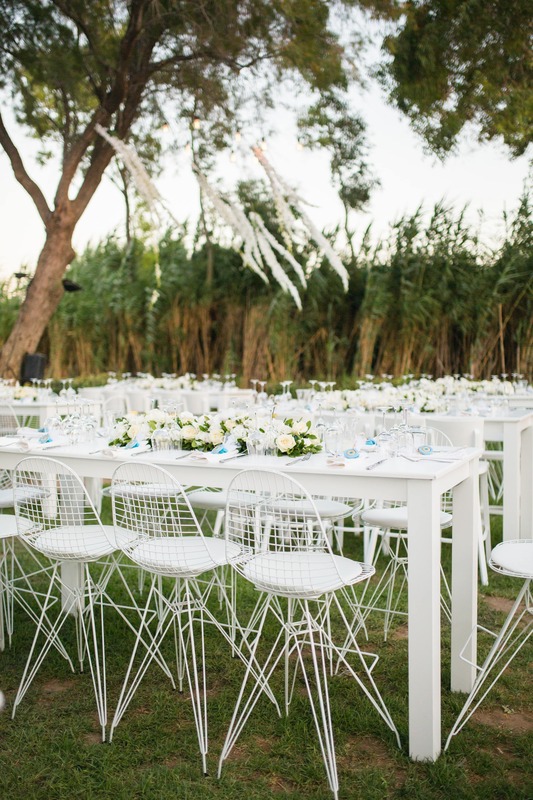 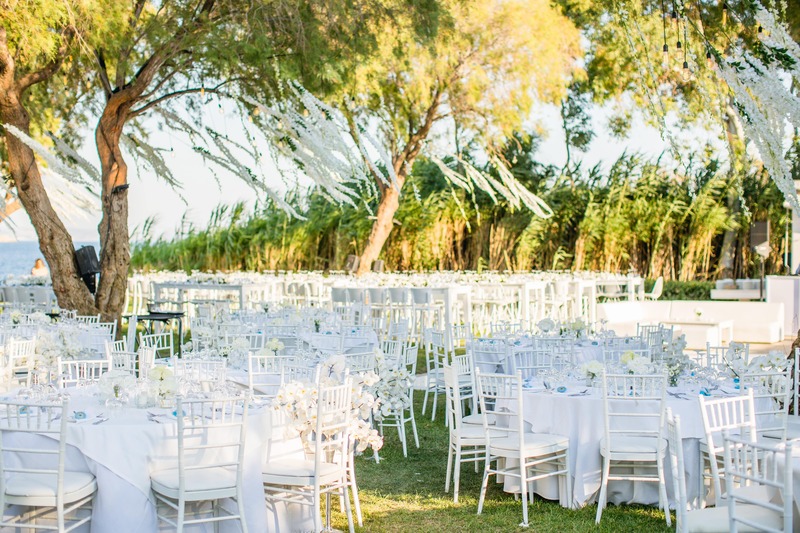 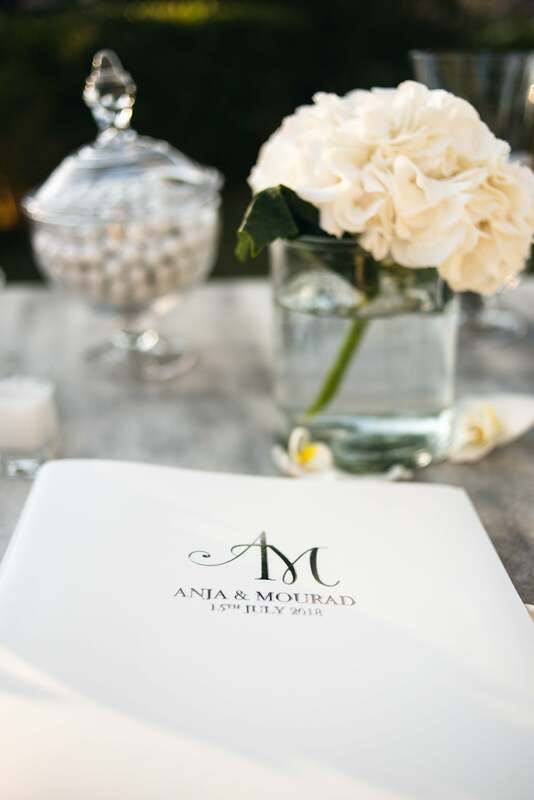 A&M is a lovely couple from Dubai who decided to host their wedding ceremony and wedding reception in Athenian Riviera on July 2018. 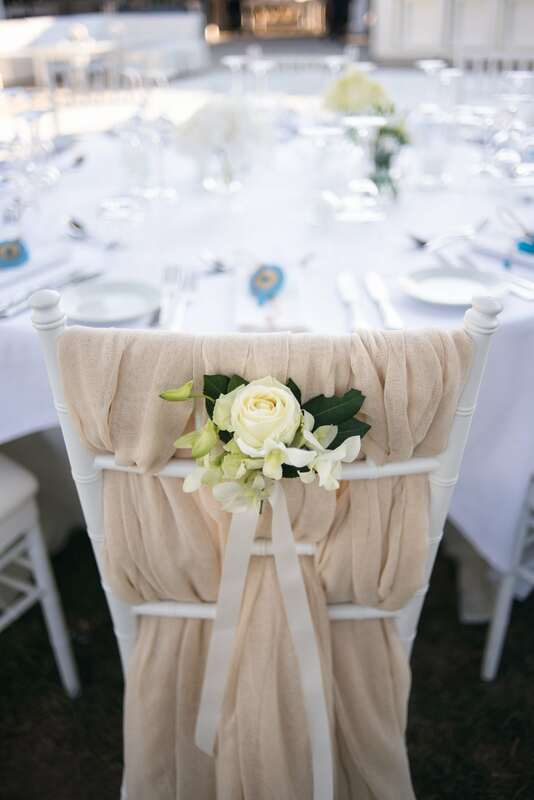 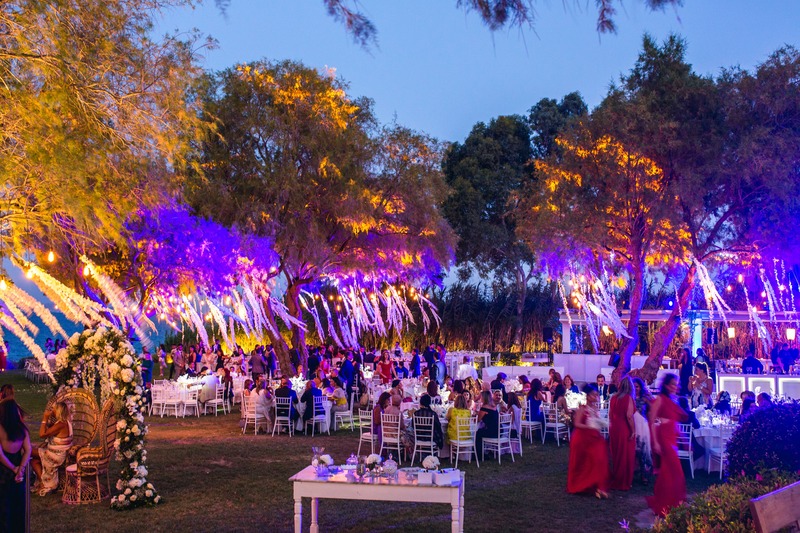 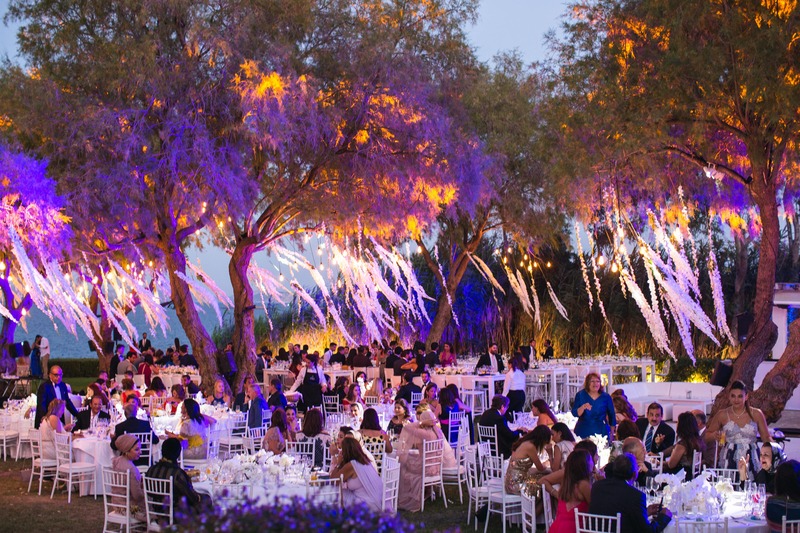 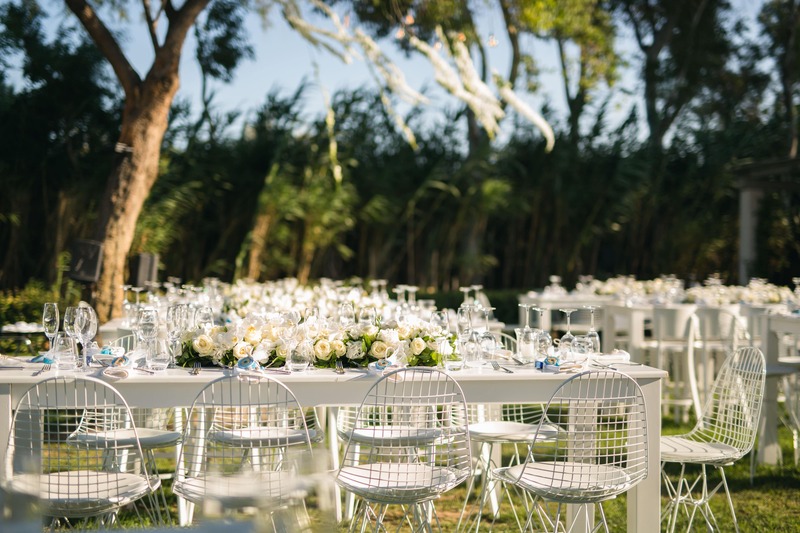 FYE – For Your Event undertook the planning of the wedding including all services required so that the couple and their valuable guests could enjoy their long weekend celebrations. 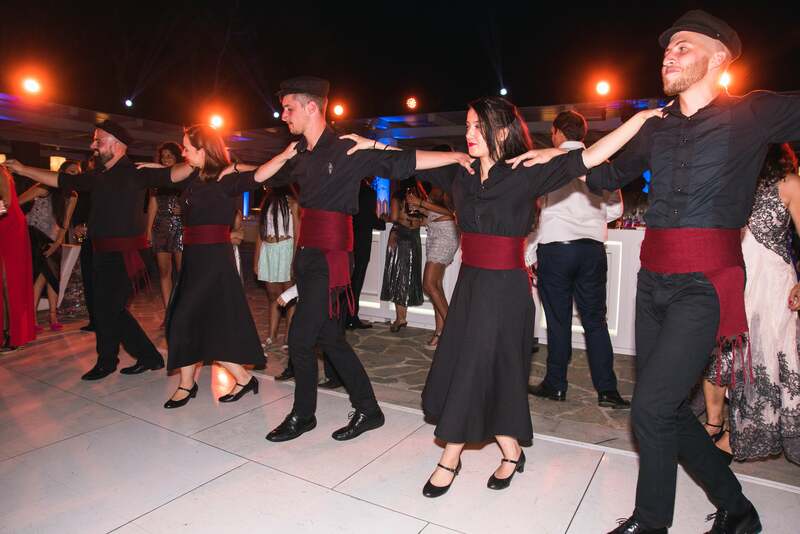 Guest who came from all over the world started the wedding celebrations with a cosy Pre-Wedding party at the Nautical Club of Vouliagmeni enjoying their cool cocktails and music vibes. 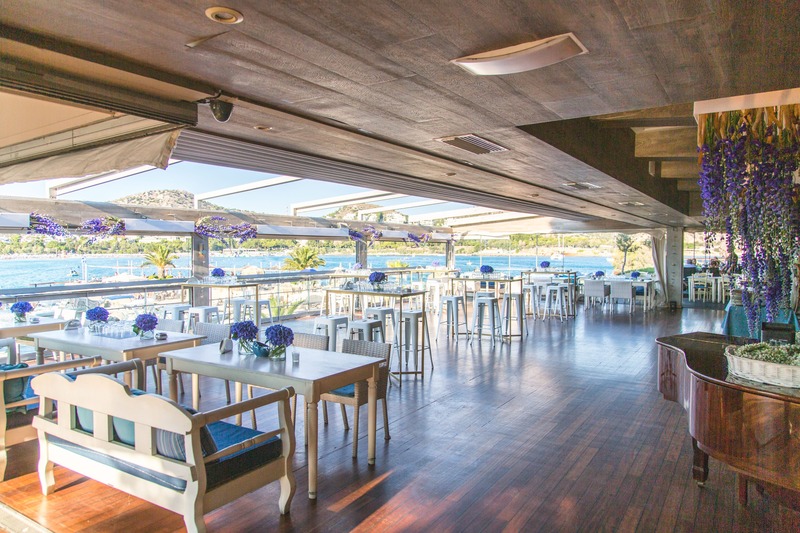 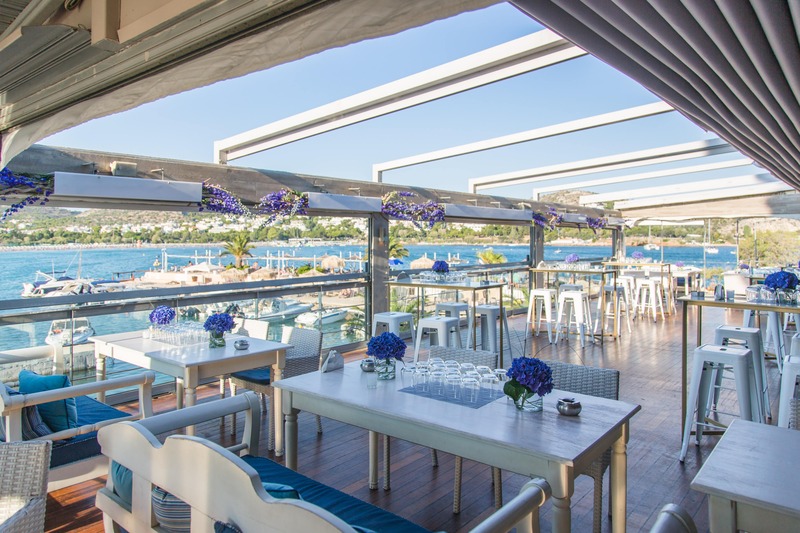 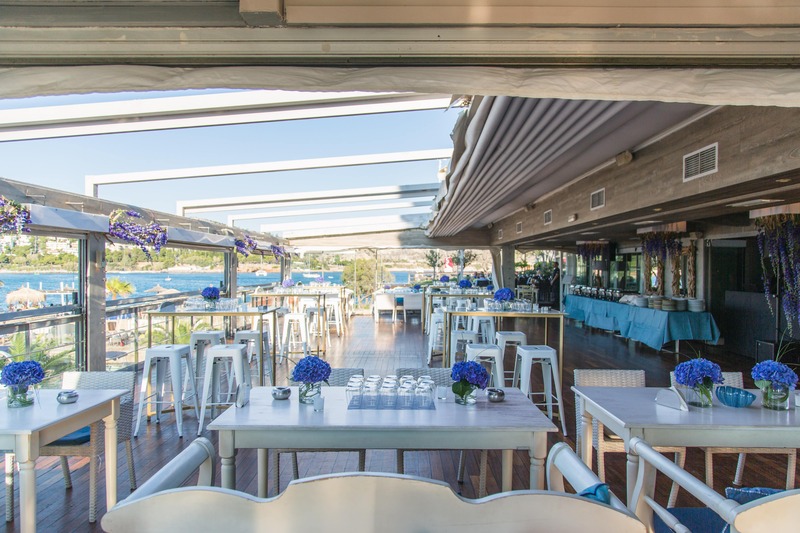 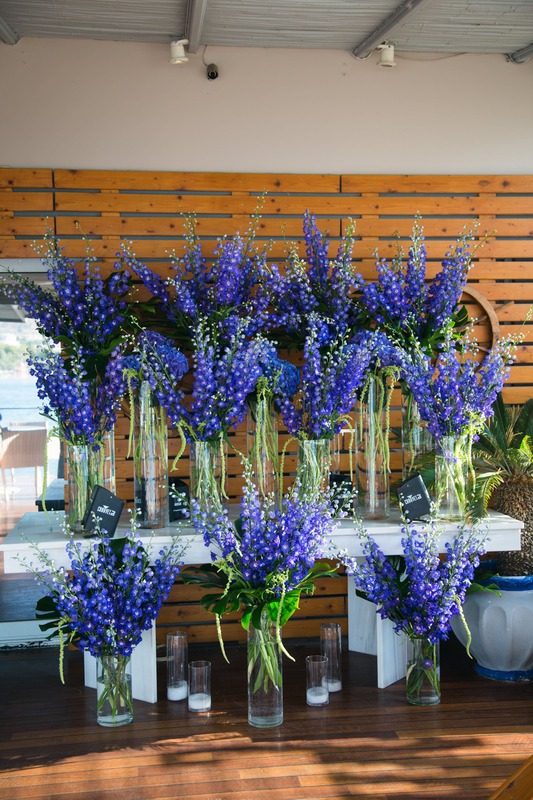 A minimal decoration and set up with lots of lavender, flower arrangement hanging from the venue’s lightboxes combining the wooden floors with the purple colour of the lavender and the blue of the sea, gave an atmosphere with the smell of summer. 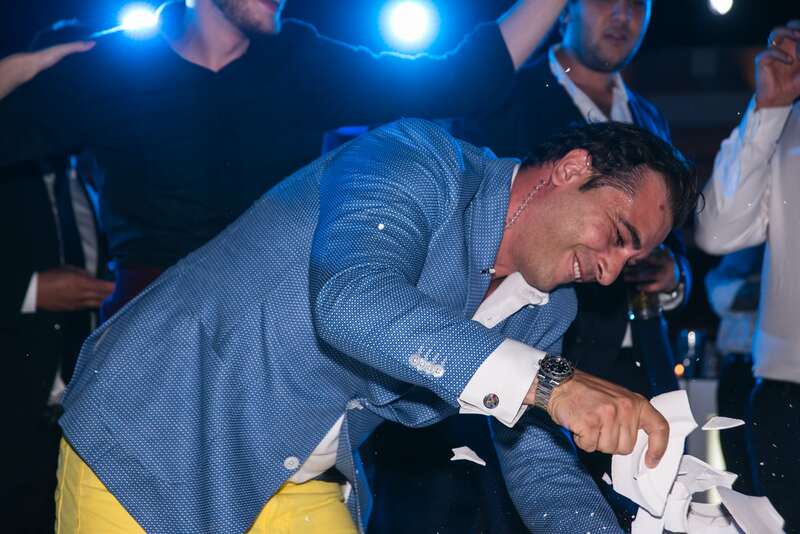 For the youngsters one of the most known clubs of Athens was waiting for them to continue partying and dancing until early morning. 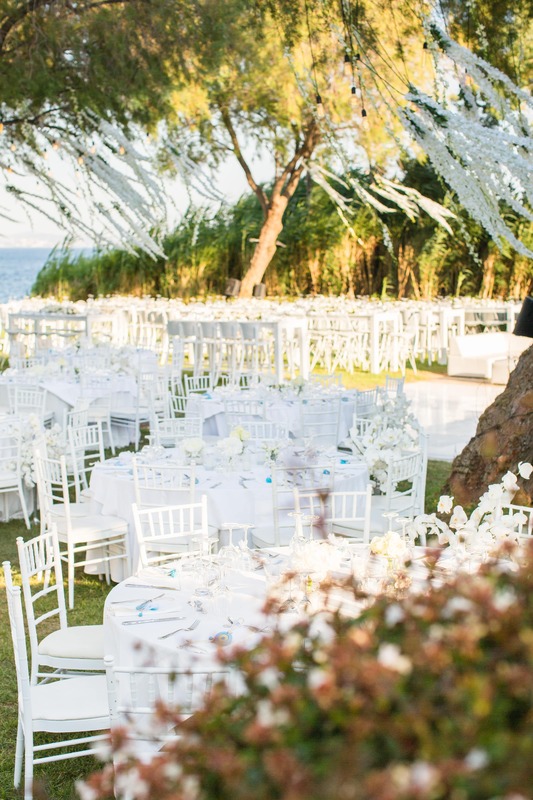 On the next day, all guests were gathered in one of the most famous beaches chilling under the sun, enjoying the sand, the sea and lots of champagne. 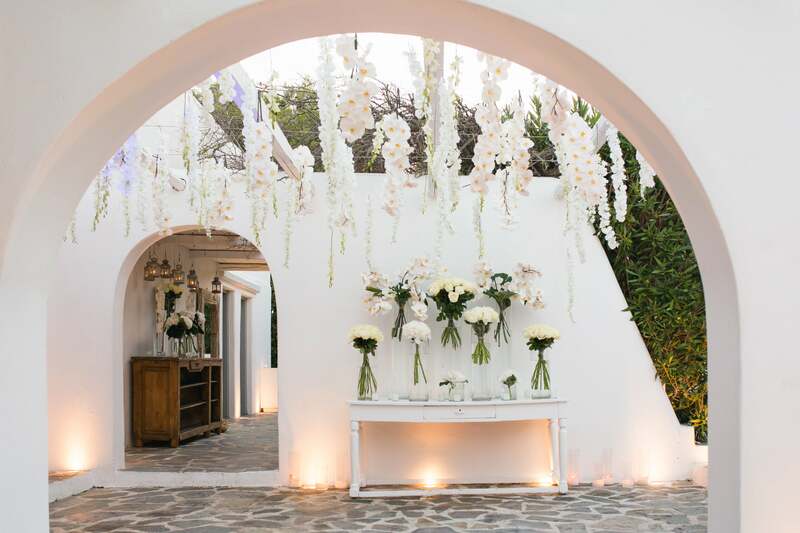 The wedding day was prepared with a fairy-tale set up, in one of the most popular venues; Island Art n Taste. 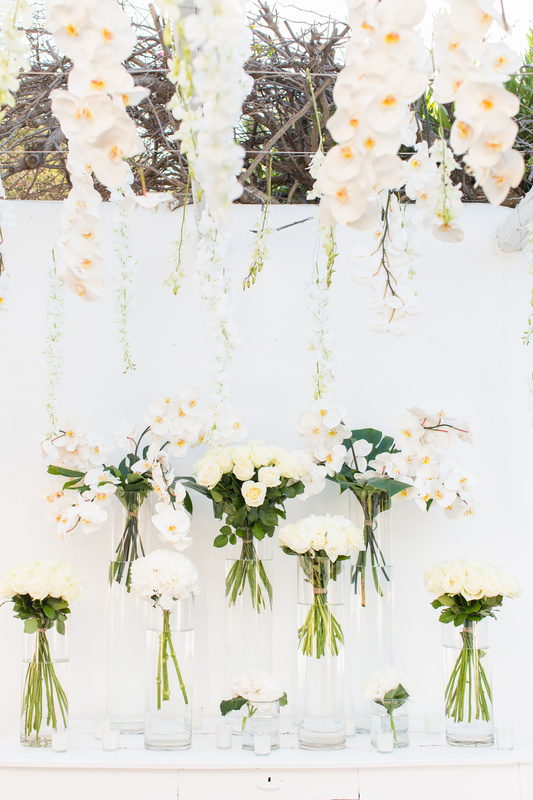 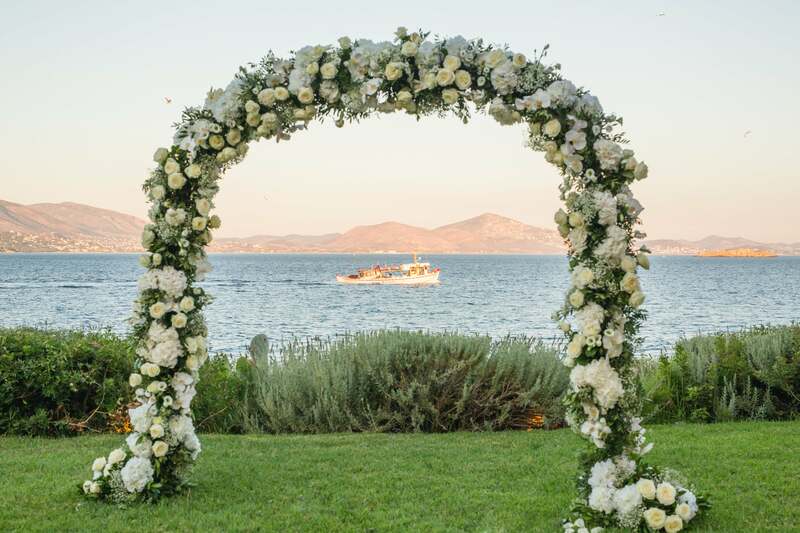 The couple exchanged their vows in a beautifully created arch full of Singapore orchids and white roses with the stunning view of Aegean Sea. 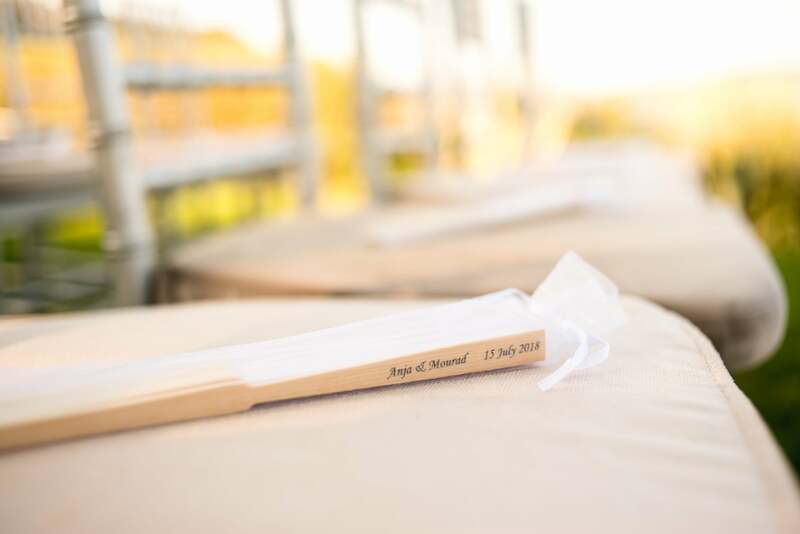 Our lovely bride walked the aisle under the live performance background of the string duet making all guests amazed by her beauty and melodies. 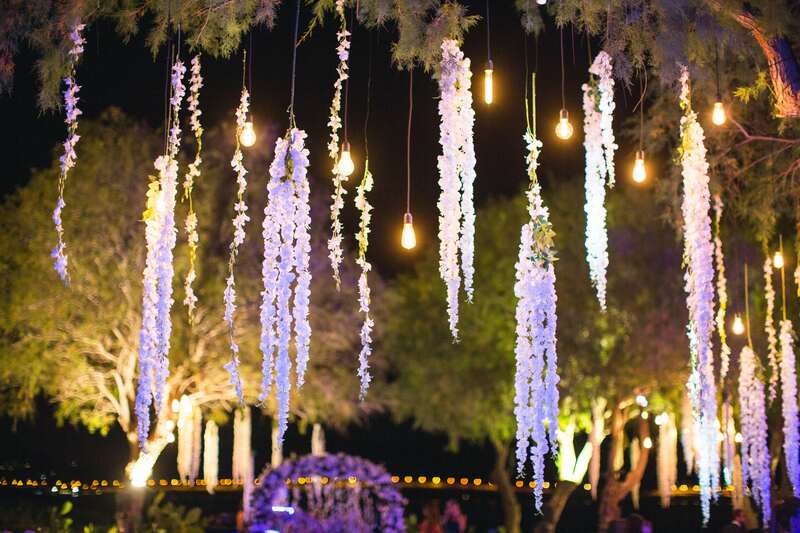 A mix of orchids and Edison lights were hanged from the trees on top of the dining area giving a unique atmosphere and ambiance. 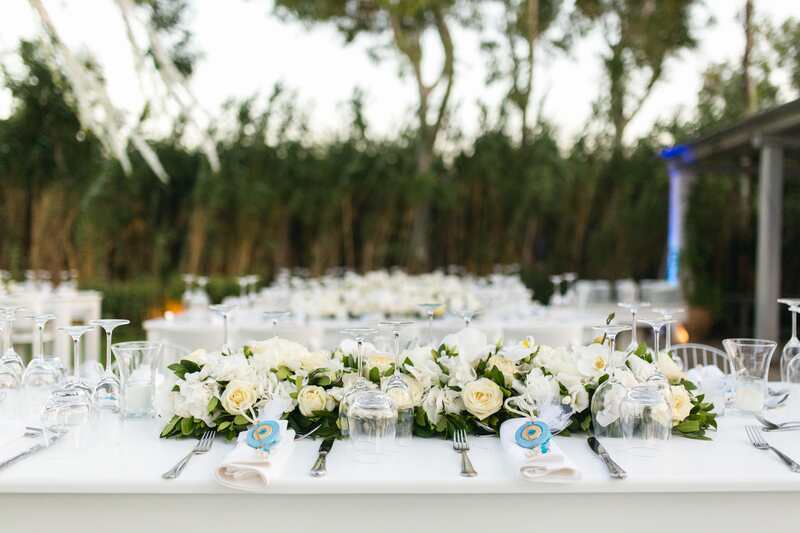 High and low centrepieces were decorating the tables providing a balance on the dining area overview. 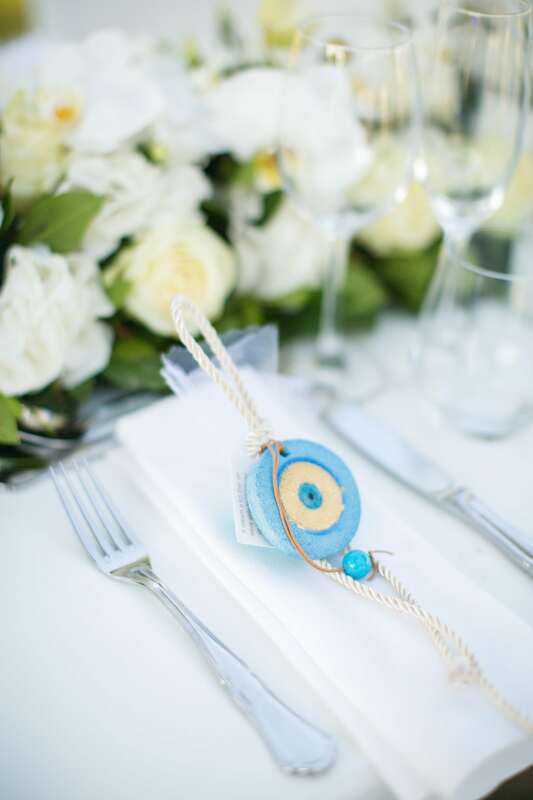 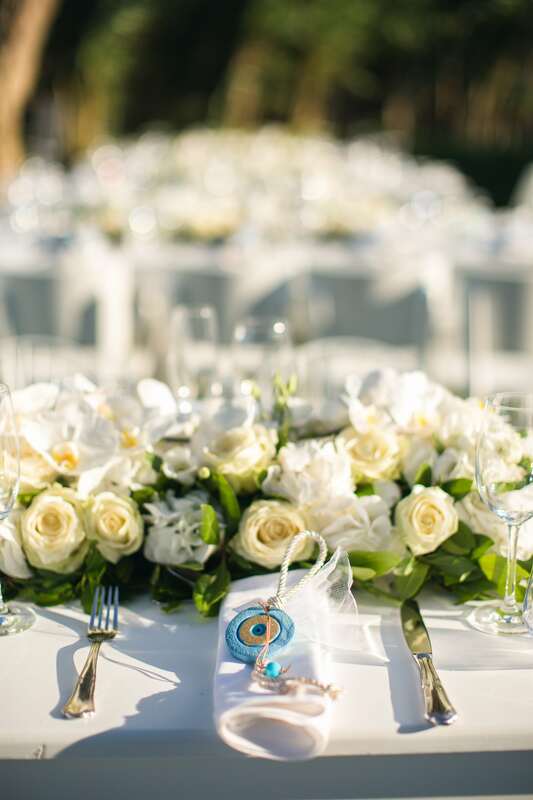 To avoid the “evil eye” …each guest found their wedding favour on their table with the couple’s thank you note.